Do you think 'Search Engine Optimization' should be renamed? We often hear and use the term Search Engine Optimization (SEO) with regards to blogging / website designing, and getting content on Google. But what is the first thing that comes to mind when you hear this word? 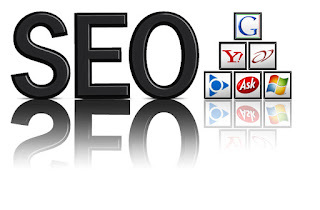 A lot of people picture link building and other such practices, which kind of limits their imagination and their field. But comparing its actual meaning to the way it is used today, do you think there's any difference between the two? And do you think the name is descriptive of the way it is used these days? Or should it be renamed appropriately? Here's Google's viewpoint on the matter. You can think of it as Search Experience optimization rather than Search Engine Optimization, with focus on the user experience, i.e. whether a user likes a content on your page, does he convert well once landing on your page, does he bookmark your page and tell his friends about it, all those kinds of things. So unlike the viewpoint some people have, SEO is much more than link-building now, and has more focus on quality. Unfortunately, Search Engine Optimizers these days have a pretty bad name. This is mostly because of some of the SEOs who practice black-hat techniques to give themselves an unfair advantage. And even though a lot of people do create good content, and create a good user-experience, they still get a bad name because of some rotten apples. So even if the field is given a new name, it doesn't really matter. Those who practice shady techniques will still be in the same field as those who don't. So isn't it unfair to paint both of them with the same brush? The only solution is to broaden one's perspective of how this field works. Again, there's a lot more to it than just building links. and by the way Good posts Qasim bro . Qasim Brother, Actually people quit blogging due to Lack of Trust, You can't believe.. My Friends and Teachers made blog related to Educational News and Jobs.. They work hard but some bad people copy their posts and get high rank in google search, they also get good alexa and traffic. Now tell me that whom to trust? I think copycats get higher rank that the hard workers. Those people who don't know the ABC of SEO, get good traffic, rank, earning. @Rahul Sethi yes bro you are absolutely right, and this is the major reason for people getting discouraged with blogging. Actually too many 'bad apples' have entered the industry, and are ruining it for the hard workers. But there are some things yo can do to avoid copyright violation.....you can search our blog for posts on that. Also, google can now tell which post is older than which, so it will penalize websites that have copied content that is newer than another website (the original source). And the panda and penguin updates aren't that much of a failure. They DO have axed spammy websites. Not at all but you are something right. A lot of people picture link building and other One time seo such practices, which kind of limits their imagination and their field. We aim to remain relevant in the every One time seo day lives of the people we serve. So isn’t understanding and applying the basic principles of SEO to our digital environment kind of a big deal?